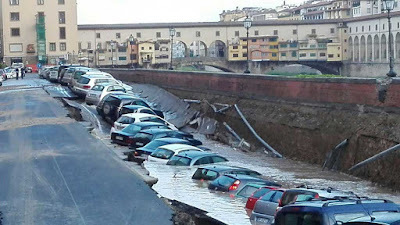 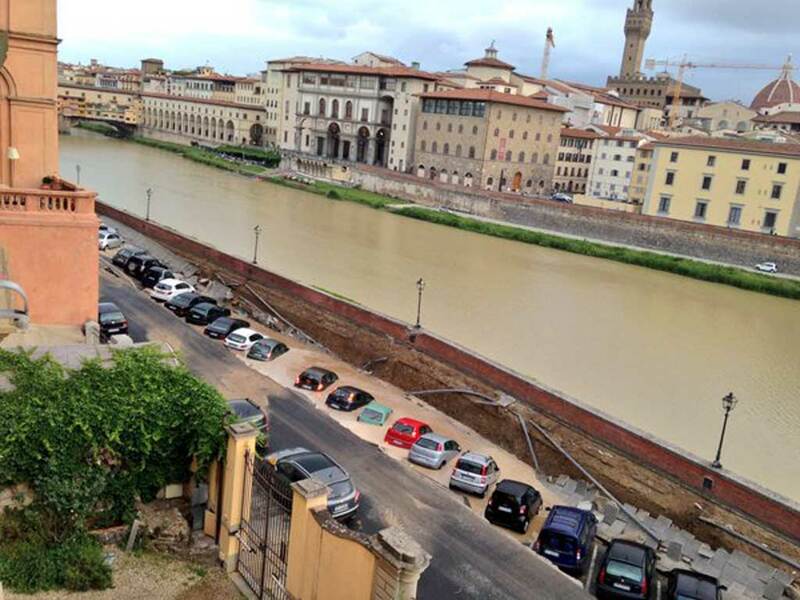 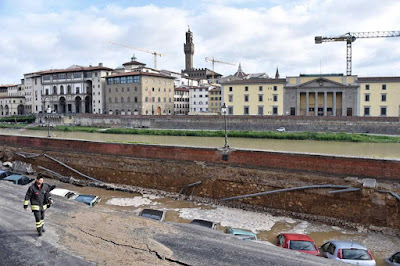 A huge sinkhole measuring 200 by seven metres opened up in Florence, Italy, on Wednesday morning, engulfing 20 parked cars. 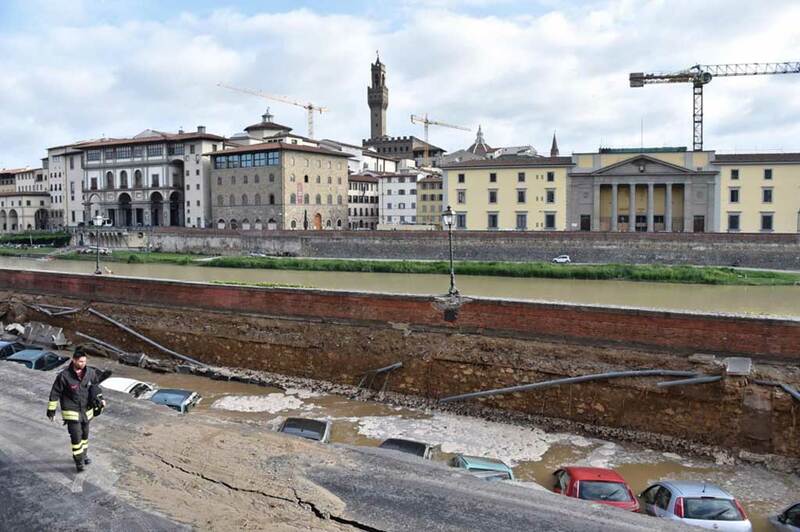 Emergency services arrived to secure the area and the city's mayor, Dario Nardella, described it as "very serious", but there were no injuries. 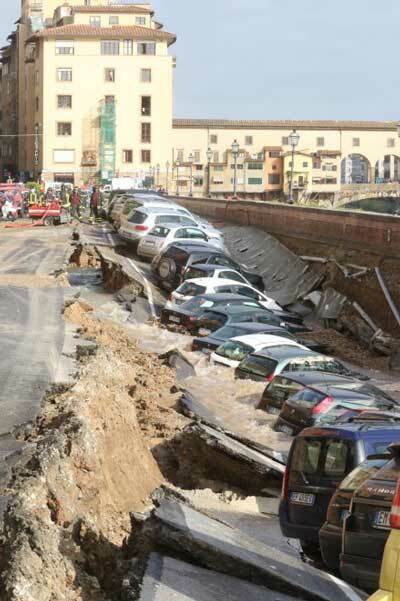 Initial investigations by the fire service suggest that the sinkhole was caused by a large aqueduct pipe breaking, and the water eroding part of the road. 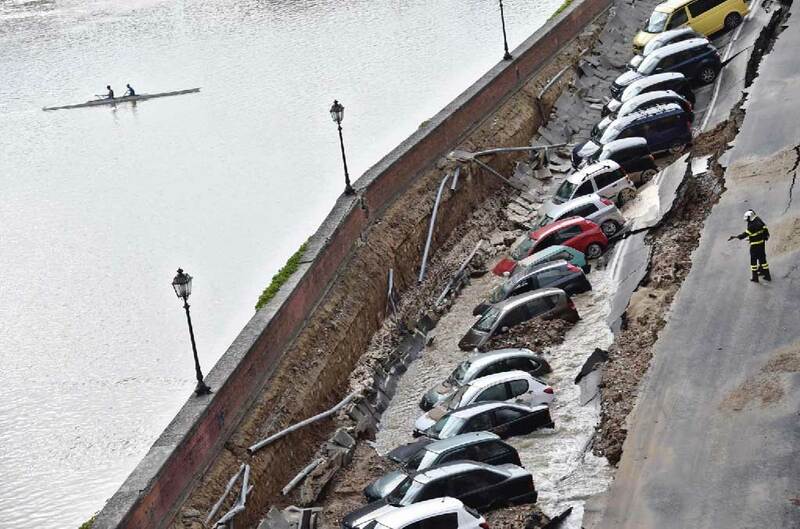 The area remained cordoned off to traffic throughout Wednesday morning while emergency services worked to prevent further damage to the road.